Got a Faulty Appliance? We Can Fix It! Is your refrigerator refusing to stay cold? Tired of dealing with a stuck garbage disposal? At Mr. Appliance of Central Maryland, our Waldorf appliance repair experts can take on almost any appliance repair challenge and get your household back on track again. 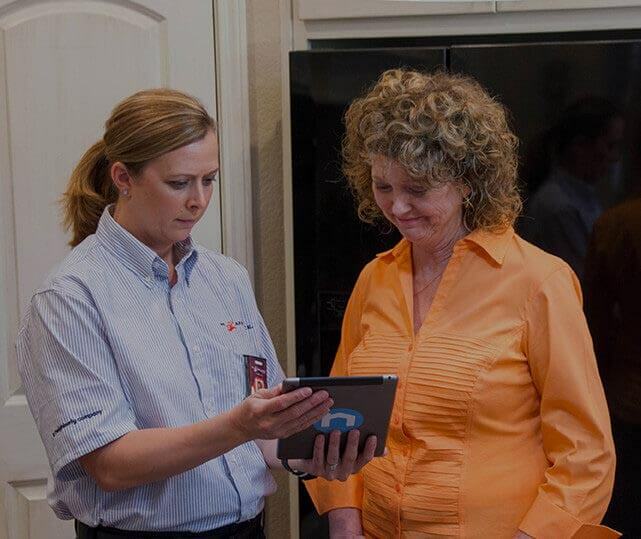 Serving homes and businesses alike, we’ll give you the fast, affordable appliance fix that you need – and you can trust that we’ll always show up on time for the job. Learn why our team is trusted by residents throughout Waldorf and Central Maryland! Call (301) 250-1439 today to schedule your next appliance repair service. For more than 20 years, customers across the country have counted on the repair professionals at Mr. Appliance. That’s because we combine the resources of a nationwide brand with the quality and care of a local business, and we always take the time to build relationships with our clients. From keeping our workstation clean to providing clear prices on your project, you’ll see the difference from the day we start working! Fully licensed and insured, our appliance repair experts are committed to serving residents in Waldorf with the highest level of professionalism and skill. We want to make sure your appliances last, so once we get them working like new, we’ll also take steps to prevent the issue from happening again. Ready to get your daily routine back to normal? Contact Mr. Appliance of Central Maryland at (301) 250-1439 to schedule your service!